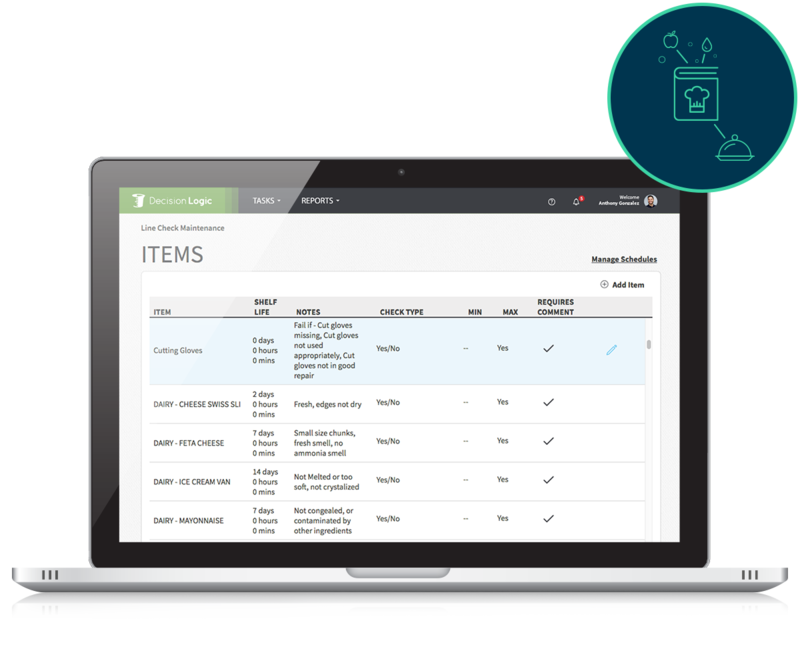 provide efficient management tools that allows teams to manage clipboard tasks and create electronic reports. provide efficient management tools that allows teams to manage clipboard tasks and create electronic reports. platform. We understand the importance of quick and accurate data entry from your store-level personnel. If the system is too burdensome, your associates will not enter the information necessary for above-store executives to report on. Enjoy the task automation of operational duties, such as performing line checks, logging waste and recipe management. The Operator’s Toolbox promotes working smarter, not harder! Production Sheet tool gives stores the ability to accurately predict the quantity of prepped items to prepare on a day-to-day basis. Line Check keeps you out of the danger zone by insuring your lines are temperature and quality compliant. We’ve integrated Thermoworks’ Bluetooth probe thermometer for immediate temperature recording. Waste Sheet helps your team track waste in real-time with our mobile app. Now you can record all the waste your restaurant generates, AND have the reports to manage it. The Document Storage module is an operational tool used especially for training documents and new personnel files, utilizing cloud storage that’s only visible to users who have access to Decision Logic. Recipe Book allows stores to take control of recipes from procurement to plate. Concepts can display a consistent brand experience through their restaurants with standardized recipes and instructions. 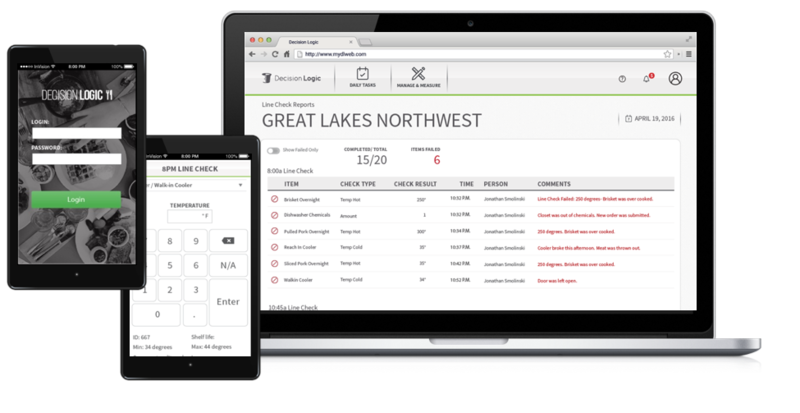 Decision Logic’s Operations feature give you the flexibility to manage your restaurant from anywhere. Escape the back office and spend time with your most important assets: your employees and your customers.